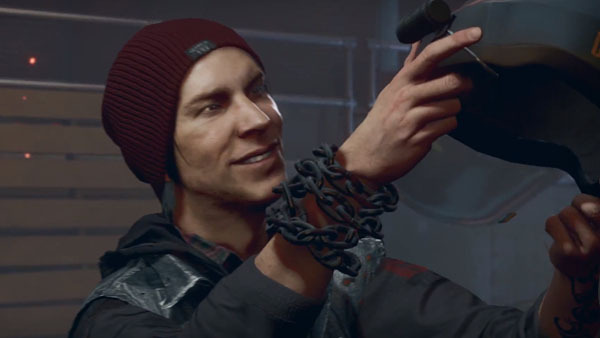 The trailer for Infamous: Second Son, one of the most impressive looking games present at the PlayStation 4’s coming-out party, was completed in just two months using the developer’s in-house PlayStation 4 engine. Action-packed trailers built for prime time aren’t exactly a cakewalk to produce, but developer Sucker Punch managed to hit the deadline Sony gave the team and come to the show swinging. The game’s creator took to Twitter to let the world know that it took them just two months to craft the video, but quite a few sleepless nights were involved. Judging from fan exciting, it was worth all the effort. We may night see Cole MacGrath and his band of colorful sidekicks anytime soon, but Second Son looks to be an exciting continuation of the Infamous fiction. Super-powered individuals will still be the focus, and it looks like they’re not exactly keen on the government trying to bring them down. Look to pick up this super-charged sequel when the PlayStation 4 launches later this year. What do you think about the direction this series is taking? Will you pick it up with your new PlayStation 4? Let us know what you think by leaving a comment below!